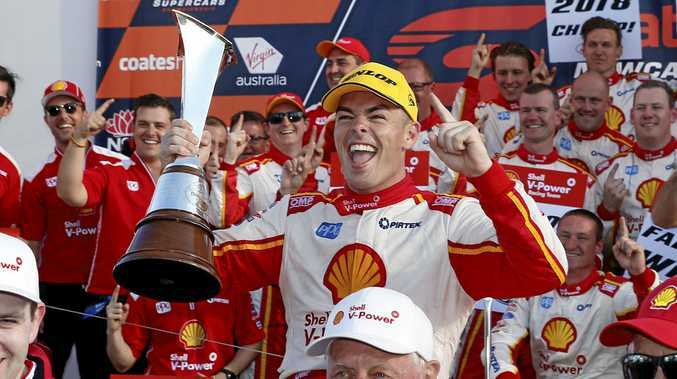 SCOTT McLaughlin and his DJR Team Penske team go into the 2019 Supercars season a stronger unit than their combination at the end of 2018 - a bit of a spooky prospect for the rest of the competition. The defending champion is now behind the wheel of the returning Ford Mustang, which is an enhancement in some ways. They have been right at the coalface of developing that car. They've played a huge role in getting it homologated, which you need to do to register it for racing. That's quite a big project and they would have learned a lot through the course of aero testing. You have to work out what the car likes. I know that sounds like you're talking about a dog or a horse or something, but it is a lot like that. When you've got a new car you might lower the front of it by 3-4mm. You might raise the back of it by 3-4mm. You might make the back of the car stiffer than it used to be. When you go to the racetrack you need to know what it likes - and that is almost an art. I went down to Phillip Island for the test day to have a close look the cars and speak to the drivers. The Mustangs, at that big, fast layout, looked very impressive. If I was a Ford fan and wanting Mustang to be competitive, it was a really good first-up hit-out. Still only 25, McLaughlin is the real deal. When you break it all down and talk car racing, you have to think of the critical element - speed - and he's got an abundance of that. He's a very fast young man. His consistency, race craft and gamesmanship were better last year than previously. In his first year with DJR Team Penske, 2017, McLaughlin worked for the first time with veteran Triple Eight engineer Ludo Lacroix and only just lost the championship. There was some learning, and even some language barriers, dealing with a French engineer. Some mistakes were made during the course of that year. But they're a much stronger combination now. McLaughlin by himself is strong. McLaughlin working with the Penske organisation and Lacroix form a pretty formidable package. 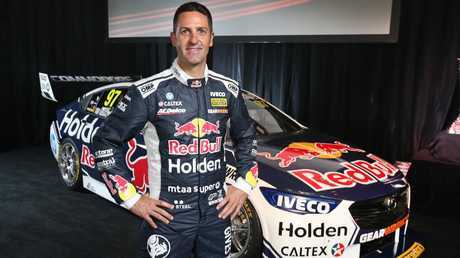 But, of course, we can't discount Red Bull and Holden drivers Shane van Gisbergen and seven-time champion Jamie Whincup. We are watching one of the great things about the modern era - the continued high-level rivalry between Ford and Holden. And that's been energised by the Mustang name. It's an historic performance car for Ford - delivering a world- recognised name plate that will bring more life to Ford fans. Ford have spent money coming back into the sport, and it's in Holden's DNA to go car racing. They've got the latest ZB Commodore and their factory team with Red Bull Racing. If you hark back to the rivalry between Peter Brock and Allan Moffat in the 1970s and '80s, you've now got a modern version of exactly that. Van Gisbergen is favoured to again make the early running. 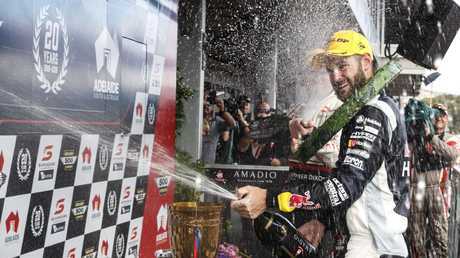 He has had an incredible run - four race wins in a row at Adelaide. Two 300-point weekends. He's obviously been very good around the streets of Adelaide - he and Whincup ride the curbs and bumps probably better than anyone else. But it's not just McLaughlin versus Van Gisbergan and Whincup this weekend. Holden driver James Courtney has always been good around Adelaide. 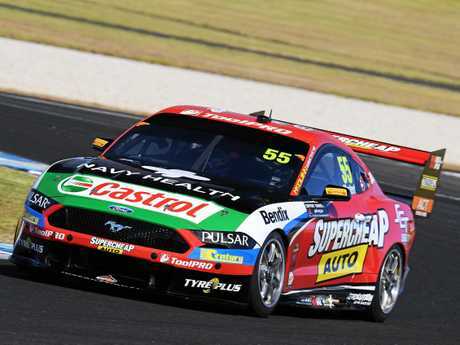 Chaz Mostert, in a Mustang, will be hard to beat if his team have done the appropriate amount of work in the off-season, and David Reynolds almost beat van Gisbergen in the Sunday race last year. 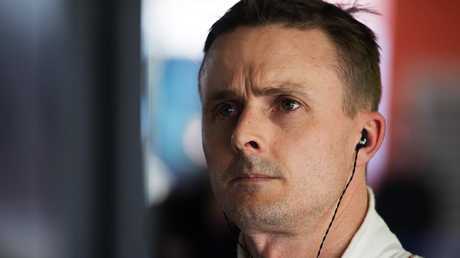 Mark Winterbottom is an interesting story. The 2015 champion will be driving a Commodore for the first time in his career. Then there's Richie Stanaway, who was at Tickford last year as a rookie and has really great motorsport credentials. But last year was not just underwhelming, it was disappointing for everyone involved with him and Tickford. Another very talented and aggressive young Kiwi, Stanaway has moved across to Garry Rogers, where he's replaced Garth Tander. There are a thousand different storylines. Another aspect that must be factored in is a small but vital rule change that permits teams to use linear springs only. Teams were using multiple springs at the back of the car, particularly in the rear to stiffen the car on the way into a corner and soften it on the way out. What it did was almost trick the car into turning into the corner and putting its power down, which provided improved traction coming off the corner. The really good teams were excellent at using multiple springs to get the best outcome, while many of the junior teams still ran a linear spring. The rule change has levelled the competition. The guys at the back of the field are going to be better than they have been and it all makes for a fascinating season.